A professional chef by trade and 2008 graduate of the Culinary Arts program at the French Culinary Instititute, Alexa has always been interested in how people nourish themselves. Through an empowering yoga practice Alexa was able to heal from a long-term illness and find the pieces of her life that were previously missing; she encountered a life-altering level of happiness and wellness akin to none and knew that she was meant to share this practice with others as a teacher. 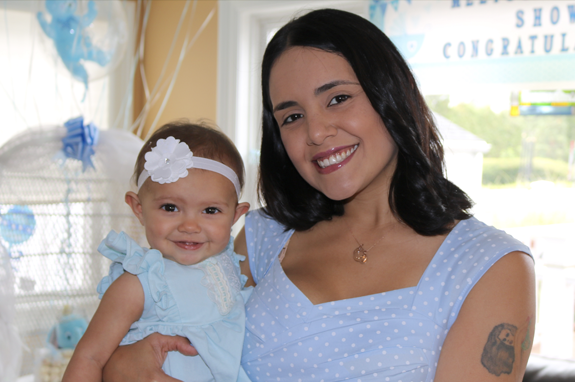 During her pregnancy, Alexa found a renewed interest in teaching prenatal yoga and she feels blessed to have found the Prenatal Yoga Center to assist her while exploring that path. Through a carefully designed asana practice integrated with childbirth education, and coordinated with music, Alexa guides her students toward integrating body, mind, and spirit to achieve a calming inner peace and sense of flexibility to prepare them for labor, childbirth, and the journey afterwards! Alexa did her 200-hour teacher training with House of Jai Yoga Studio. She is also certified to teach children & teens (Karma Kids Yoga), Mommy & Me (Yoga Mom, Buddha Baby), Gentle & Chair (Integral Yoga Institute), and of course, prenatal and postnatal (Prenatal Yoga Center).